A bit of a change of scenery from the usual make up and skincare posts.. I just had to share this with you! 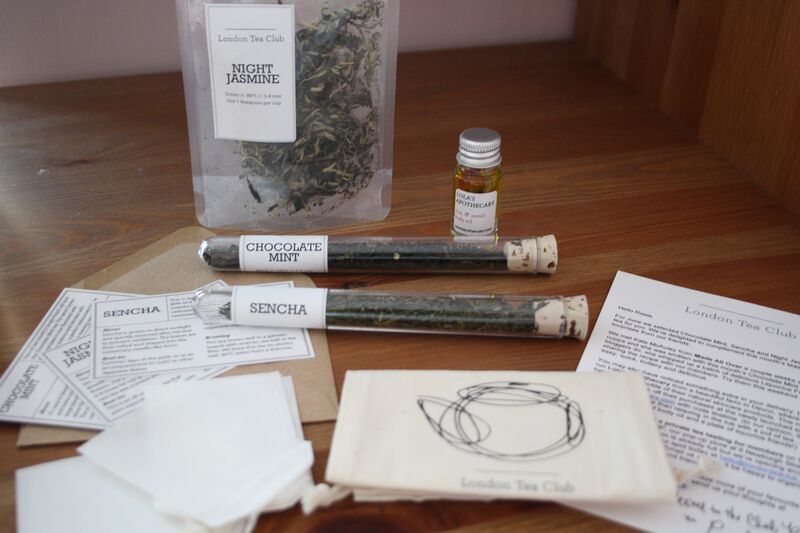 Around a month ago I was absolutely beside myself when I discovered a tea subscription service by the London Tea Club. I just couldn’t say no. The box itself was super cute – it was a lot smaller than I expected, they did a good job to cram everything in! I got 3 tea samples, a welcome letter (hand signed by the owner – nice touch), some little info cards about each of the samples, a recipe, a sample of this gorgeous Lola’s Apothecary Body Oil (review coming soon) and some genius DIY tea bags, which mean you can pack up your loose leaf and take it into work with you! The process is really easy, you just sign up here and tell them a bit about yourself (with no boring forms!) and then they pick some surprise teas for you. Simple as pie. 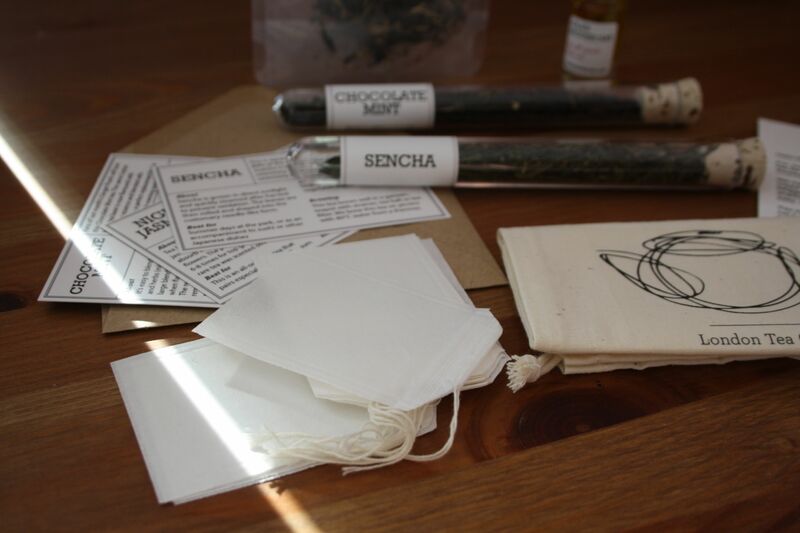 In my first box I got: Chocolate Mint, Jasmine Green and Sencha teas – I couldn’t have been happier! 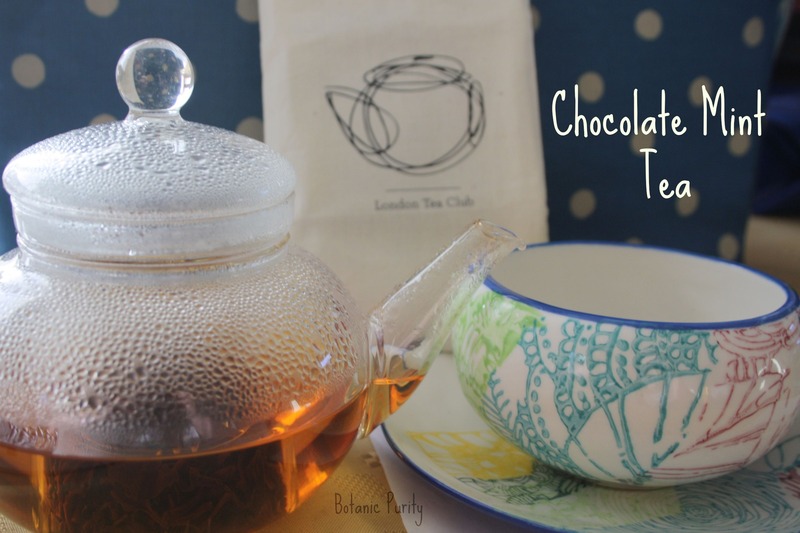 The Chocolate Mint tea is where I started – I just could NOT resist after smelling it. It smells like after eight mints, and is just amazing. Once brewed it isn’t sickly or artificially sweetened, it is light and delicate, with the most perfect balance of flavour. The mint isn’t too herbal, and the chocolate isn’t… well, gross! Every time I have tried chocolate tea in the past I’ve been repulsed, but this was something else. It was delicious, and I’m going to order some more soon! Jasmine Green Tea is one of my all time favourite teas. I got into it after my obsession with jasmine fragrance, and just randomly saw it in a health food shop and bought some on a whim. I had no idea how famous it was (perks of living on the IOW – you live under a rock), but just fell in love. I’ve only tried this one once from my tea box, but really liked it. For me the jasmine wasn’t quite strong enough, but I probably do like it a little stronger than most. I did drink some after letting it brew for ages and would advised against it.. my god it was pokey! Definitely only leave this one to steep for the 3 minutes advised! The Sencha Tea I have only tried once again, but I have got to say I absolutely loved it! I don’t normally like plain green tea, but again this one was so delicate and fragrant – it was sooo good. Sencha tea originates from Japan, and is a gorgeous pale golden colour once brewed, it is supposed to be comparable in health benefits to Matcha, but at a fraction of the price tag. I was really glad I was introduced, because it is something I would drink again, although I have to say I can’t see it becoming an everyday tea for me, just for a special occasion. One thing I love about this box is the DIY tea bags they provide. They are just little tea bags with a drawstring top (see below) that you can fill up with your favourite loose leaf teas to drink on-the-go. I haven’t got to try them yet as I’ve been working from home this week and have been enjoying pots throughout the day, but will definitely pack up a few to take into work. Such a cute and practical idea! I would 100% recommend The London Tea Club! For just £10 per month and the amount you get, the value for money is great, and the customer service is fantastic! You can check out their website here, and their Facebook here for their offers.